Get 2 FREE email addresses with every domain name! Register the domain name of your choice today! Why choose nettigritty for your domains? Think of us as your private domain concierge! Need help registering multiple domains for your brand or finding suitable extensions for your domain? Give us a shout and we'll help you out. Naturally, your domain would ultimately be based on your choice and preference. Registering and renewing your domains with us can be as simple as sending us an email after it is booked on our website. As long as you have balance to cover your orders, we'll process it for you just over a quick confirmed email. If there is anyone you should trust with your domains apart from yourself, it's us! nettigritty has been in the business since 2003 and takes domain ownership very seriously. 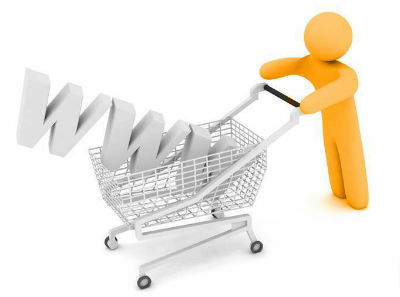 We believe that your domain is your property on the web. That needs to be guarded well at all times and we go to great lengths to ensure that only rightful owners always have complete access to manage their domain names. We always price our domains honestly to the best rates we can offer you and regularly have various domain names on sale to help you get the best deals. Apart from that, we offer free email addresses, DNS management, Theft Protection, Email forwarding, and Domain Forwarding bundled with your domain name. nettigritty has been in the web hosting business since 2003. This is our core business, our strength and what we do best. Our team is always here to assist you 24/7 with absolutely anything you may need for your web presence.